Keeping busy is key to making the most of winter days, shoveling is not my favorite sport but it does require outdoor time, exercise, and it cannot be ignored so why not embrace it…again and again! My 4 year old granddaughter got her first pair of ice skates this past Christmas which sparked all the memories and the love of skating to me. It was amazing to see her on the ice for the first time, and that coax me back on skates again! I remember that one of the big things back when I was a kid was to make pom-poms for your ice skates and for sure my granddaughter would need some too! 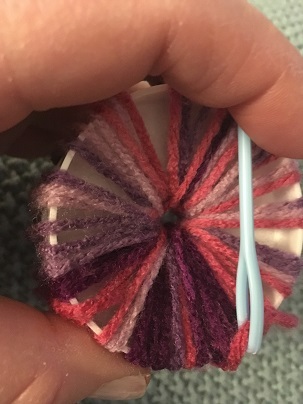 A pair of homemade, cardboard, donut shaped cut-outs, were used to form the pom-poms, using left over yarn from past projects. I scanned the Home Depot plumbing department, I looked for over-sized washers, O-rings, escutcheon or a flange to replace the cardboard cut outs. I picked up a pack of plastic ceiling and floor pipe hole covers to give the craft a try.....I was on my way down memory lane! 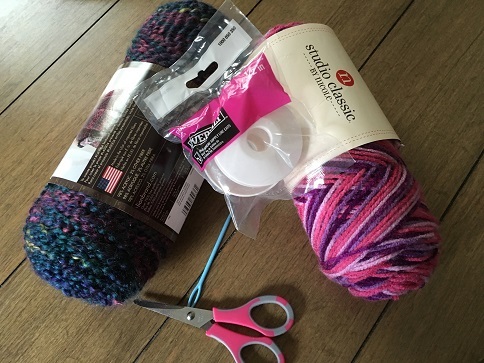 A pair of scissors, a yarn needle, and some yarn along with the plastic donuts. 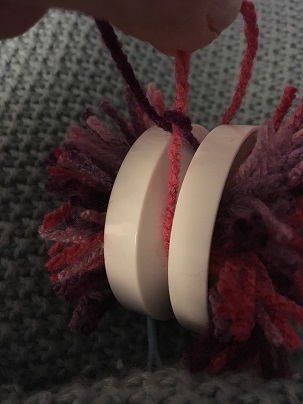 Make sure to place the donuts right sides together to form a butterfly yoyo shape…I am totally dating myself all over this…..now let the pom-pom workshop began. In no time at all I was winding the yard around and through the plastic donut, my granddaughter sat with me, we took turns feeding the yarn, plumping up the donut. 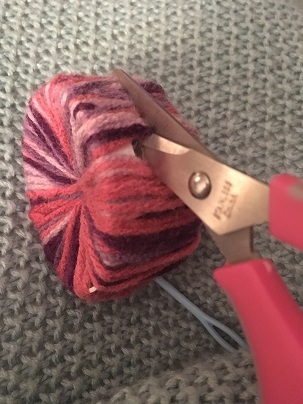 Once an abundance of yarn was in place, no true formula just a chunky bit of yarn wrapped around the donut. 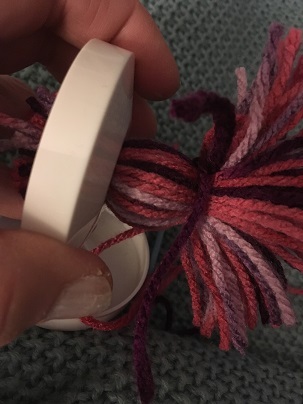 Next, cut a strand of yarn to have ready to tie off the pom-pom. With a good sharp pair of scissors cut around the center of the out side of the donut. 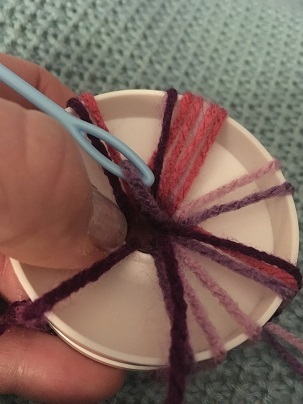 Quickly tie the strand of yarn tightly around the center, and then tie a knot, cinching the center of all the cut strand of yarn. Now carefully remove each side of the donut. 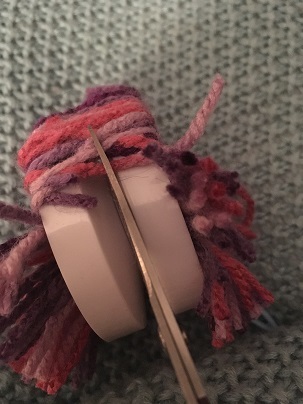 Check the pom-pom, tie the center tighter if need be, then give the pom-pom a shake and trim it to the desired size, some strands may be a bit longer than others, even out the ends. Tie the pom-poms on to the skates! 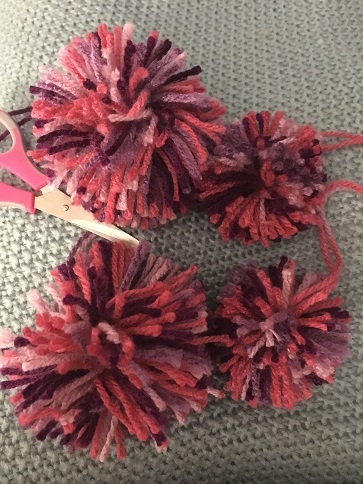 This is a fun project to do with children, pom-poms are not just for skates and sneakers, pom-poms are great to tie to packages, or even hang off a zipper! Pom-poms are totally unnecessary but they just add a bit of fun and surprise to anything that they are tied to.....so why not pom-pom it up! You have to be our most 'Crafty' community team member, keep up the good work, I always enjoy your posts. Be careful on those skates! Believe you me I am cautious as can be and humbled all at the same time just to get around the rink once! 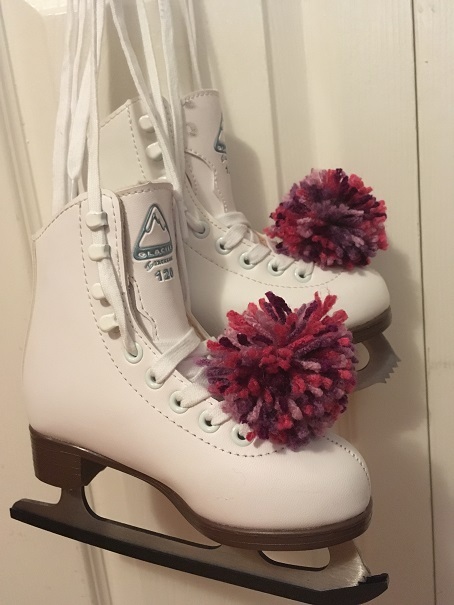 I will add some picture of the next skating adventure, Pom-Poms and all!